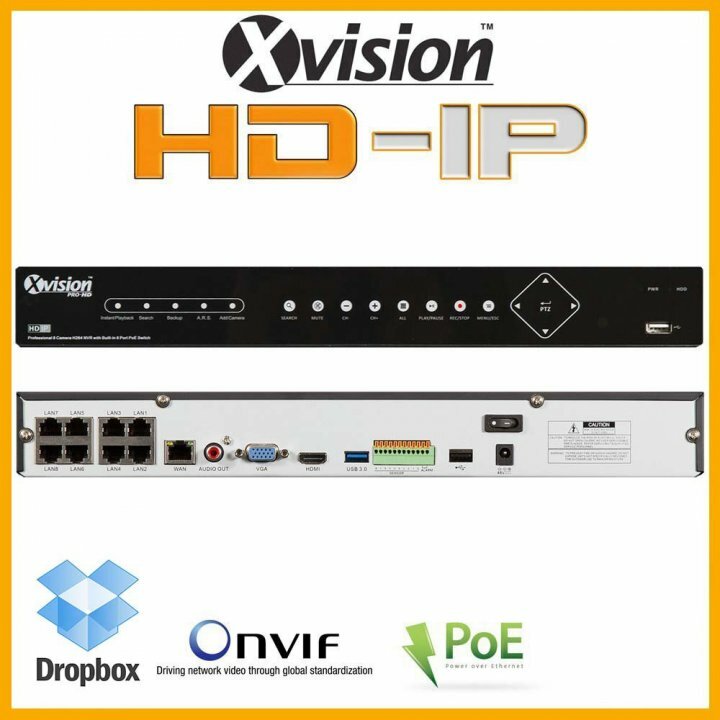 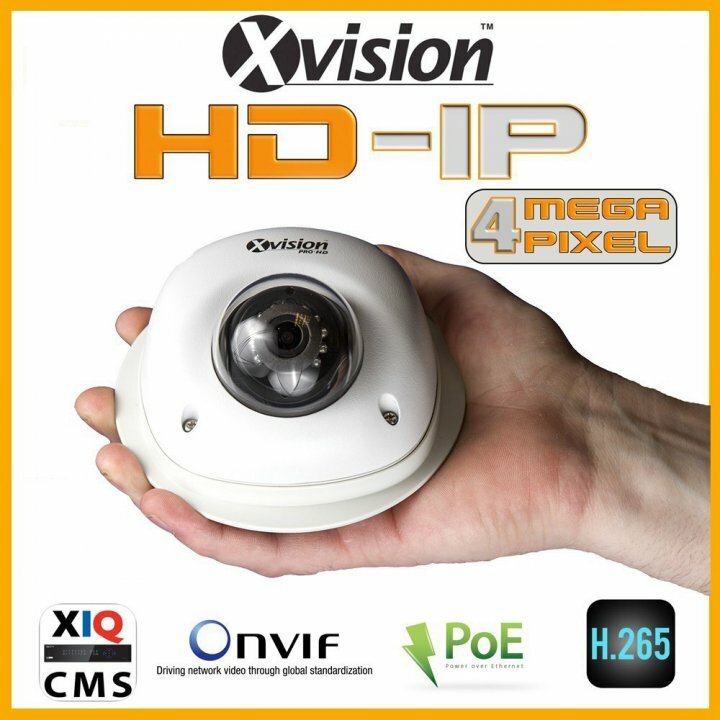 HD IP Camera 4Mpx wide with 50m IR Varifocal - white colour is the very latest technology camera from Xvision featuring 4 megapixel image quality with H.265 compression for reduced bandwidth and storage. 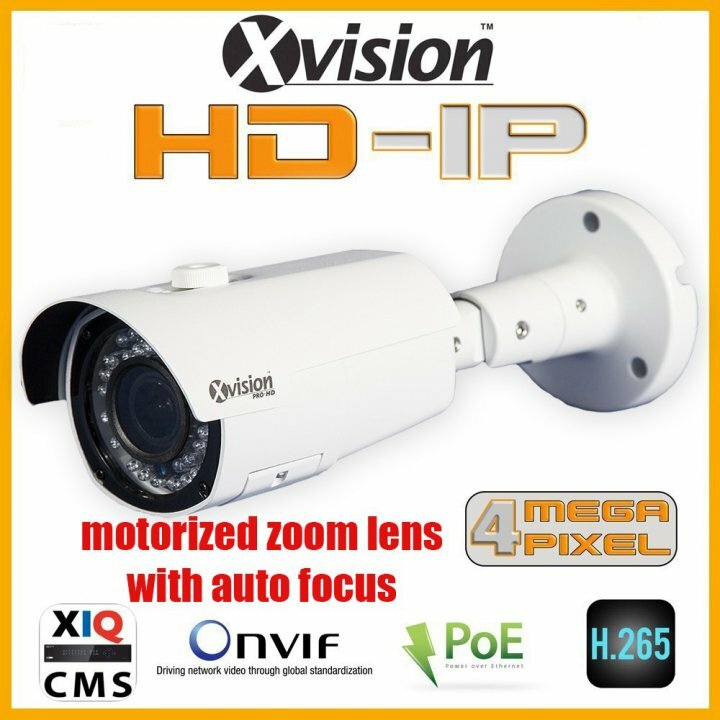 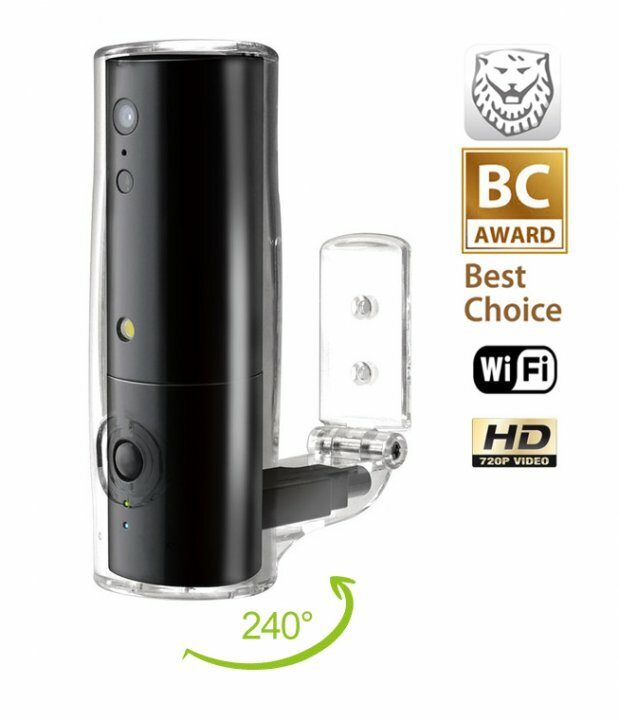 This high quality bullet style camera is suitable for external installation and has motorized adjustable lens between 92º fully wide to 23º fully zoomed with auto focus, this makes for easy install when setting the focus points which is important with very high resolution cameras. 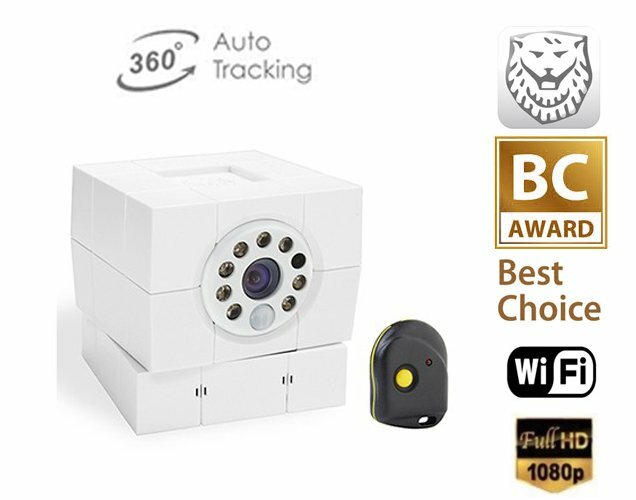 The camera can see up to 50 metres in the dark using high powered LEDs. 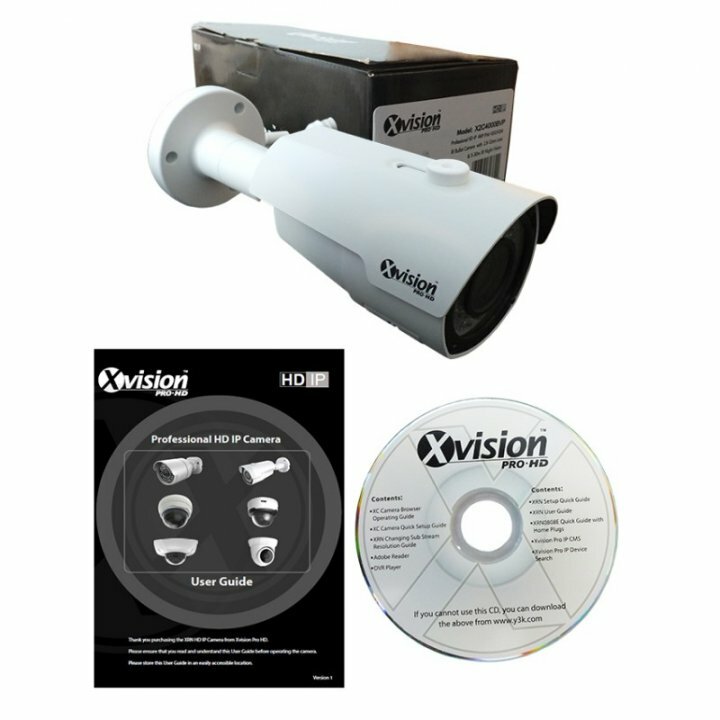 The 4 megapixel (2288 x 1712) CMOS Sensor supplied in the X2C4000BVP achieves a resolution approximately 9 times that of a conventional camera. 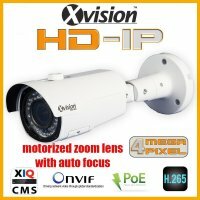 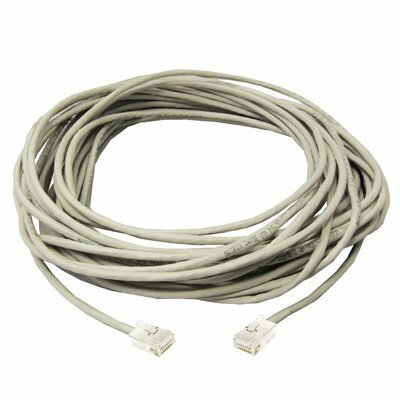 This makes it possible to cover 9 times the monitoring area, the image quality being the same. 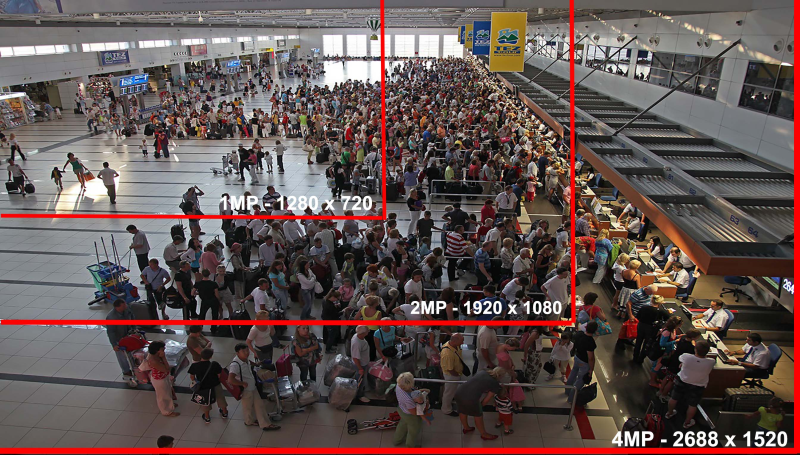 In addition, when captured images are enlarged the detail is much clearer. 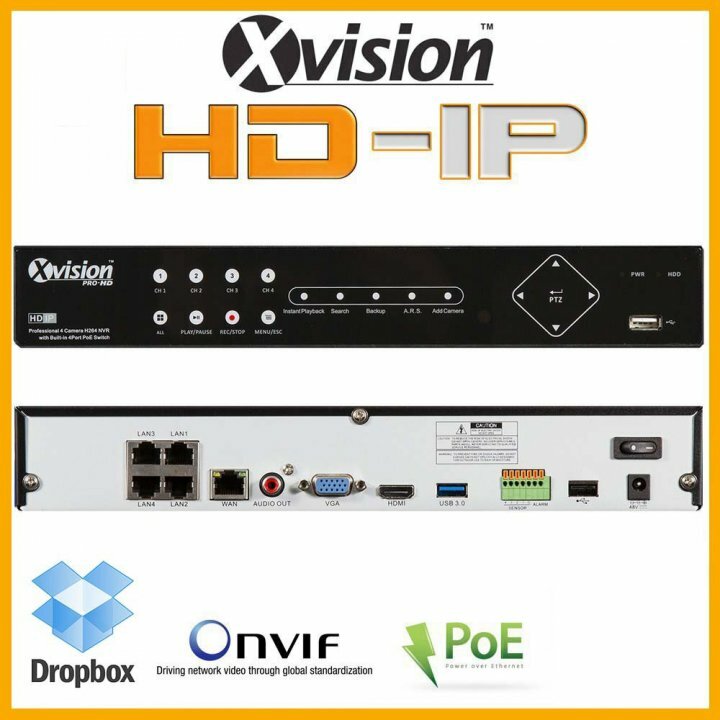 The H.265 Compression format offers significantly reduced bitrates while still offering the same high quality images provided by H.264 reduces storage space required.